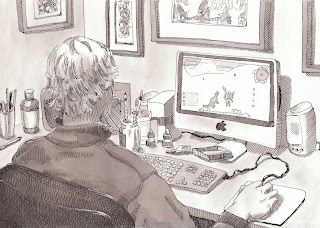 Urban Sketchers Seattle: My son on the computer. My son on the computer. 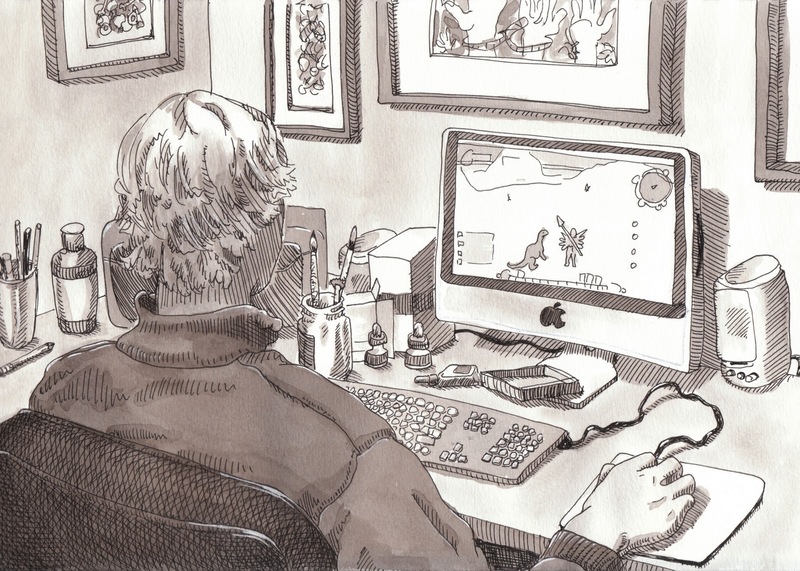 My 16-yr-old wanted to show me an online game he enjoys, so I took the opportunity to do a sketch over his shoulder while I watched.